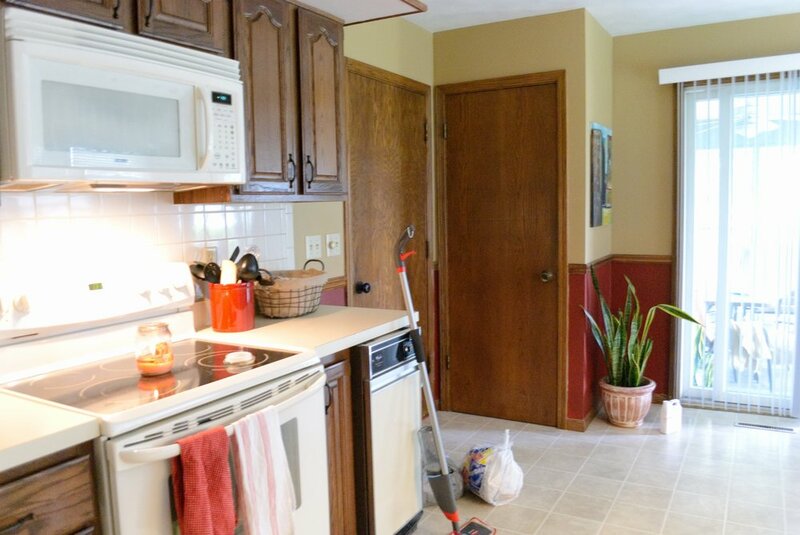 Our kitchen was yellow and red, with wood tones, some square cream tile and white appliances (complete with a trash compactor). The countertop was also white, and the flooring was a vinyl. One of the first things we did was redo our countertops. This was a temporary fix (and I wanted to try it out for future use). It made a HUGE difference in our kitchen. You can find the product we used, here. If you are looking for a way to change the look of your kitchen, I highly recommend this product. But, then my wonderful idea hit me. 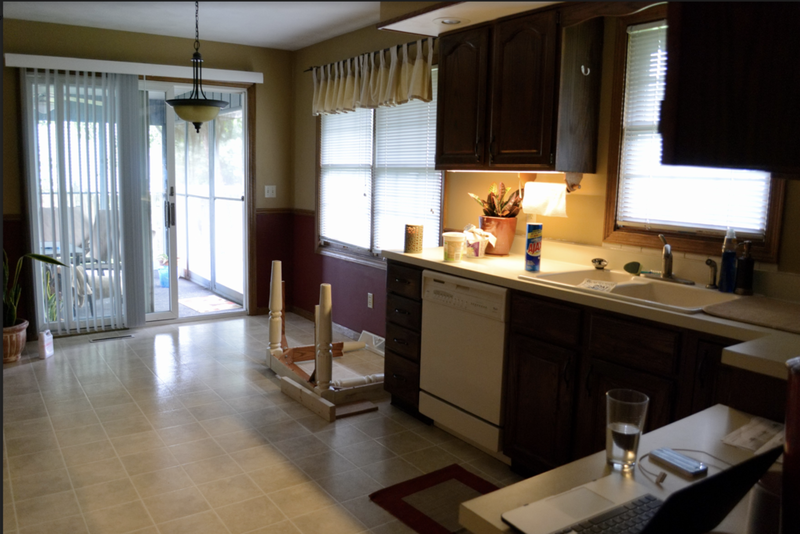 I wanted to fully redo the entire kitchen. We removed the tile from the wall and realized the wall was not able to be saved as such. We started priming the walls, and the floor was replaced by Traditional Floors. I love looking at this photo because there’s truly nowhere to go but up, right? Here’s where it starts to get better! We started to build cabinets and add the shiplap to the walls. And then the fun part started - we poured our CONCRETE COUNTERTOPS! Although things were looking better and better over time, I didn’t always feel the greatest about this process. Friends, it took a LONG time. I was starting to feel like this transformation was never going to end. Our kitchen was a hot mess for a very long time. And yes, we did open-shelving! Here’s how we DIYed them. We did switch the handles after living with them for a while. We went from some knobs (as seen in a few photos below), to these longer pulls and I think I like it much better. And just so you don’t have to scroll up and down, here's the before and after photos. It’s been a labor of love, but SO very worth it. Newer PostHow we use baskets in our home. Older PostA classic grey and white bedding combination.